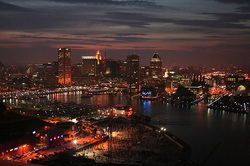 We are a Baltimore based company, founded and created right here in Charm City. Our Office is located on Taylor Ave in Towson MD. We are 2 minutes away from Towson Town Shopping Mall, 5 minutes away from the Joppa RD Shopping Plaza, 15 minutes away from Dowtown Baltimore City, and 30 minutes away from BWI airport. My Name is Roddy Wiley. I founded and created Creative Minds Web Design. I have over 10 years experience in Multimedia and web design. I have created lots of media for many small and large businesses. I enjoy spending time with my two children. I am a horror movie fan. I love to eat sweets. I have many pet freshwater fish.